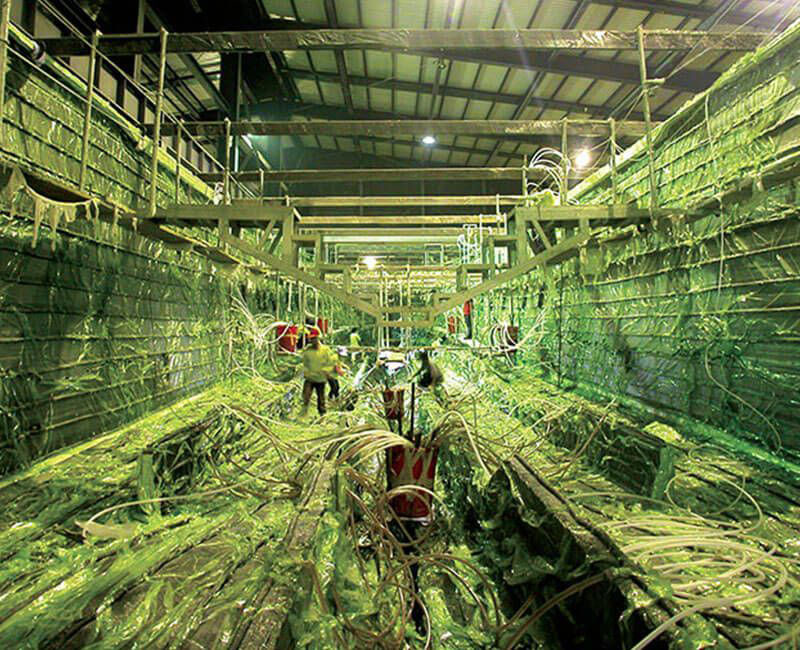 Horizon was the first authorized yacht builder in Asia to utilize SCRIMP (Seemann Composites Resin Infusion Molding Process), a process originally developed by the U.S. Navy as a means to increase a vessel's strength and durability without adding weight or affecting performance. In 2004, Horizon developed an improved 3D resin infusion technology that enables the infusion of far larger structures than previously possible. In 2009, Horizon was authorized by EADS (The European Aeronautic Defence and Space Company N.V.) through SAERTEX and also received authorization to implement another advanced technology called VARTM (Vacuum Assisted Resin Transfer Molding) process. Horizon now utilizes the VARTM process on all our hulls, which results in a strong, light and durable hull and superstructure. This year, Horizon successfully developed an enhanced HYVER resin to be used with our current infusion process that reduces potential print through issues with FRP materials. There is currently a patent pending for this combination resin, which along with the 3D infusion process reflects the consistent upgrades in Horizon's manufacturing process. The Horizon design team utilizes 3D CAD visualization and design programs to provide clients with expert exterior and interior design advice that fulfills lifestyle requirements and ensures the reliability, safety and performance of every new Horizon motor yacht. Horizon has partnered with experienced designers and naval architects worldwide to create a wide range of stylish yachts. 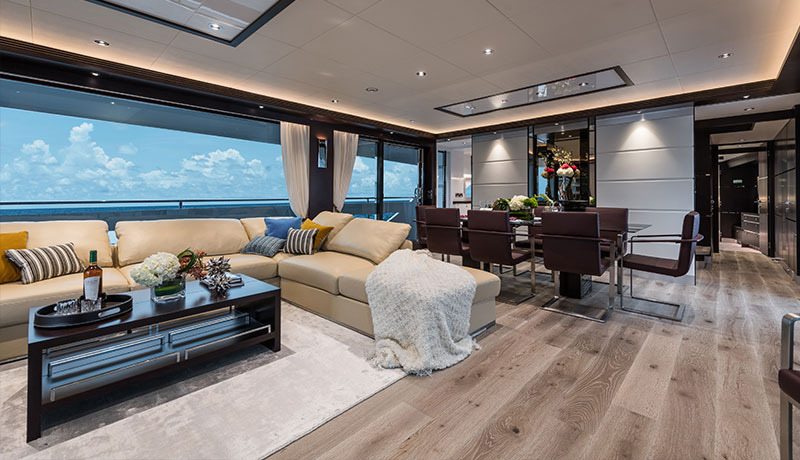 The Horizon fleet currently consists of seven model series, each of which features a distinct style and addresses a specific onboard and cruising lifestyle. Flexibility in design and construction is one of the distinctive features that sets Horizon apart as a yacht builder and allows the customization of each yacht to fit the owner's lifestyle. No two Horizon yachts are exactly the same. The experienced R&D team is skilled at producing semi-displacement hulls; full-displacement hulls with or without bulbous bows; and semi-planing, fully planing and high performance racing hulls. 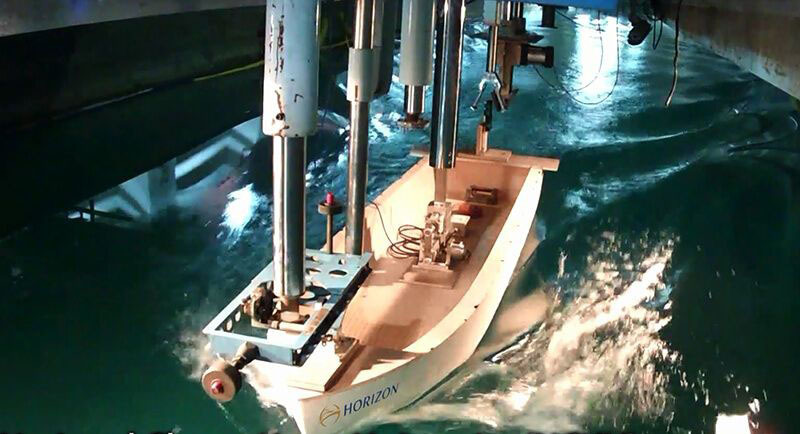 Horizon uses both the traditional tank test simulation and the computational fluid dynamic (CFD) analysis technique for all vessels to assure the maximum efficiency of each hull design. Horizon's yacht interiors are designed and crafted on site by master craftsmen, many of whom have over 20 years of experience. Virtually every detail is scrutinized under a strict quality control system, from large projects such as the interior layout and style to the minute items such as cabinetry edges and door hinges. Horizon's focus on quality fit and finishes, along with our commitment to satisfied clients, has ensured ensured high retention rates with second, third, and fourth time owners. Every Horizon yacht is subject to stringent, continuous inspections at each stage of the build to ensure that the finished product showcases Horizon's Quality Commitment to its customers. From tank testing of the hull design to NDT material testing of hull strength and integrity to sea trials and power and equipment operations testing, Horizon's ERP computer system manages this process for each new build.